For over 35 years RFE has been unlocking potential in lower middle market companies. strategic and operational expertise to empower good companies to become great. 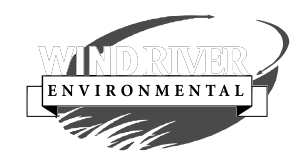 Wind River provides complete end-to-end non-hazardous liquid waste management solutions for a diverse set of residential and commercial customers. Hastings is global manufacturer of piston rings for internal combustion engines. PCX manufactures complex dynamic and structural hard alloy components and assemblies for military and commercial aircraft. SQUAN provides innovative solutions that enable the evolution of wireless and data networks.